Commemorate both a couple’s love and the city that holds a unique place in their hearts with this classic commemorative wedding print, which features the couple names, wedding year, city hovering in elegant script and print above the skyline. When displayed prominently at home, it can offer a lifetime of memories of that perfect, unforgettable day. Here are the fonts that have been used in the print. Like this wedding gift? You can personalize it with your own wording and details at uncommongoods. 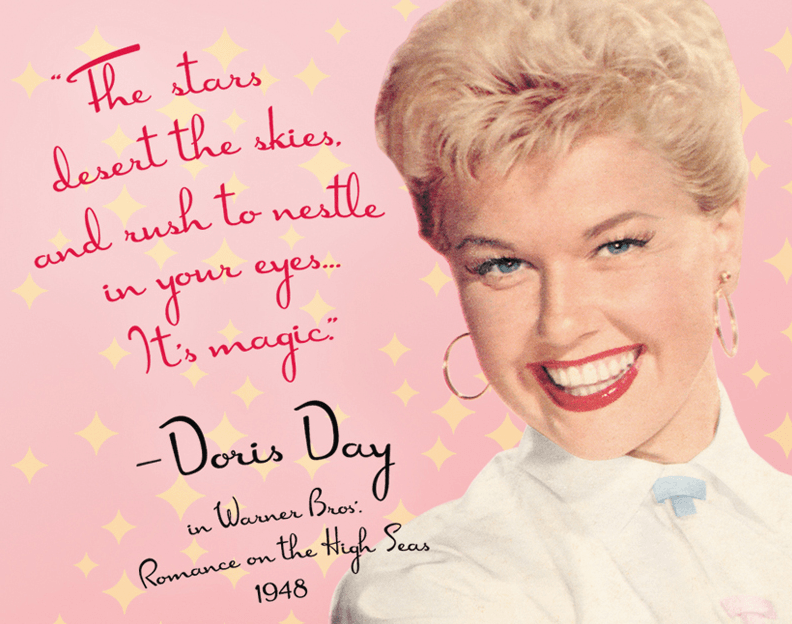 Doris Day is a handwriting script typeface designed by Spanish designer Mario Arturo. According to the designer, the font was inspired from letters that appeared in 1940′s thru 60′s magazine ads. It is recommended for use in casual settings where you need a bit of retro or fun flair. Doris Day is free for personal, non-commercial use. You can download it for free at Fontspace.